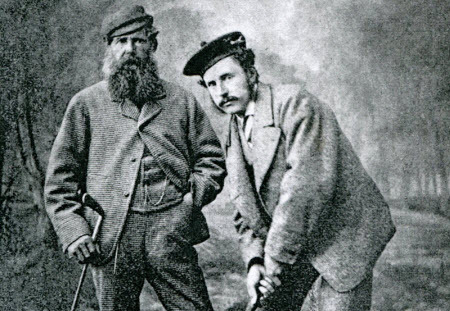 There are so many memorable moments from the British Open Championship that they tend to all come racing to mind in a torrent, going back to Prestwick in 1870 when Young Tom Morris won for the third year in a row to retire the belt and put a stop to the tournament. To establish a bit of order we will look at the most memorable Open from each of the past ten decades. The obvious choice is 1926 at Royal Lytham & St. Annes Golf Club when Bobby Jones won his first Open Championship. After all, there is still a plaque in the left rough on #17 from where Jones launched a mashie onto the green to secure the win. However, Jones’ first visit to St. Andrews in the 1921 Open is arguably more memorable. In the third round, the 19-year old Jones was still trying to extricate himself from a bunker on the 11th hole after four swings when he gave up, tore up his scorecard and left spewing venom for links golf. 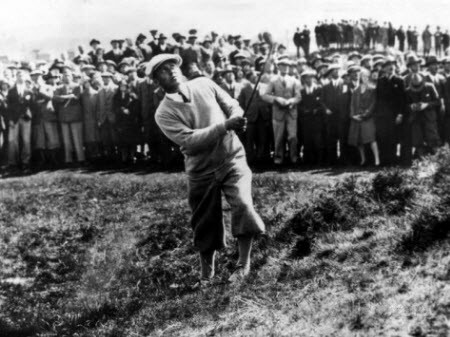 When the sand wedge was invented in 1931, we bet Jones was wishing he could have had one of those at that game. As time went on, Jones matured, of course, and in the future could express only love for the Scottish brand of golf. In 1958, the citizens of St. Andrews presented the beloved Jones with the key to the city. 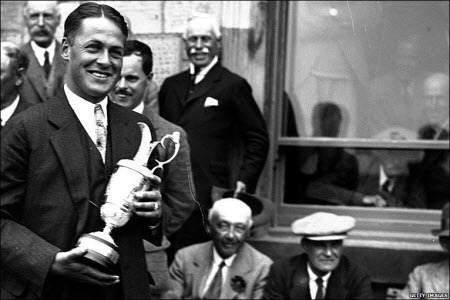 That win in 1926 made Jones the first player to hold both the U.S. and British Open Championships in the same year. In 1930, of course, he outdid himself, adding the Amateur Championships of both nations as well. The Grand Slam, as Jones’ biographer O.B. Keeler called it, was ordered such that the Open Championship at Royal Liverpool was the second leg. Jones became the third – and last – amateur to win the Open Championship. He went on to complete the “impregnable quadrilateral” with Open and Amateur victories in the United States. The most memorable thing about the Open during the 1940s was that the RAF used many of Great Britain’s famous fairways as runways during World War II. 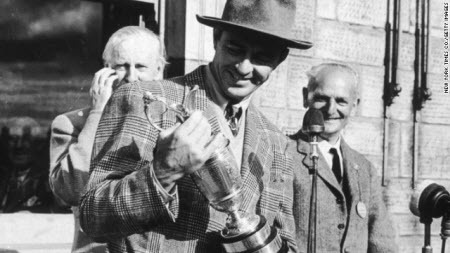 After a six-year hiatus when the tournament resumed in 1946 Sam Snead wasn’t sure St. Andrews had shaken off its wartime responsibilities. “It looks like an old abandoned kinda place,” observed Slammin’ Sammy. The winds were up that week as well and even though Snead battled to a 75 in the final round, he was four clear of the field to claim his only Open title. 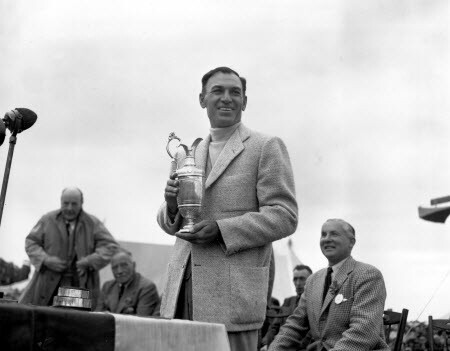 The great Ben Hogan made the arduous trip to Great Britain to play in the Open Championship only once. It was 1953 and the Wee Iceman already had bagged The Masters and the U.S. Open earlier in the season. That year the Open made its third appearance at Carnoustie, a municipal track that has come to be regarded as the longest and most difficult course in the Open rota. Hogan entered the final round tied for the lead and, while battling the flu, unveiled one of the most storied rounds in golf history – a course record 68 to win by four strokes. There was no “modern” Grand Slam in 1953 and the PGA Championship and the Open Championship shared conflicting dates, so Hogan had to be content with three major championships that year – still the most ever in a single professional season. Led by Arnold Palmer, the 1960s and jet travel marked the return of the Americans to the Open Championship in large numbers. None was more popular than “Champagne” Tony Lema, who came to St. Andrews in 1964 and only got a chance to play nine practice holes. 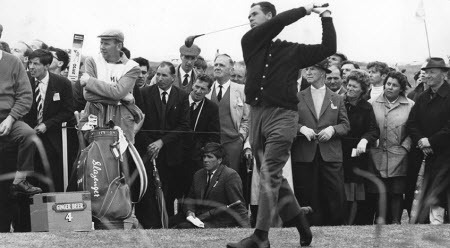 He did, however, retain the services of Tip Anderson, Palmer’s British caddy who was available since The King was skipping the Open that year. Anderson pointed to enough correct clouds to aim at to enable Lema to defeat runner-up Jack Nicklaus by five strokes. Unfortunately, one of the great personalities of PGA Tour golf died in a plane crash at the age of 32, just two years later in the days after the 1966 Open Championship. In the 1970s, Tom Weiskopf’s won his only major championship at his beloved Troon, a memorable moment for sure. And Lee Trevino’s back-to-back titles were one for the records as well, especially in 1972 after he stunned Nicklaus by knocking in a “I-don’t care-anymore” chip for birdie after bungling the 71st hole at Muirfield. But the decade belongs to the 1977 Open at Turnberry, the Open’s debut in South Ayrshire, Scotland. After identical 68-70 scores in the first two rounds, Nicklaus and Tom Watson were paired with each other and shot matching 65s on Saturday to pull away from the field. Going out together again on Sunday, the two continued to match birdies until they were ten strokes clear of their nearest challenger. 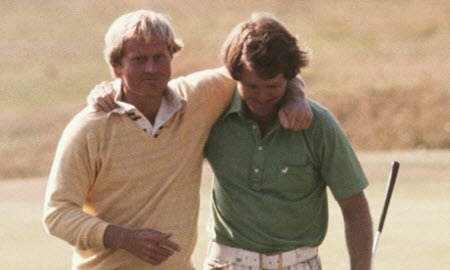 When Watson topped yet another birdie by Nicklaus on the 72nd hole he won “the Duel in the Sun,” 65-66. It was the best tournament golf of the televised age, and still the standard by which any Open is measured. Greg Norman has suffered his share of disappointment on the golf course, but 1986 finally delivered him triumph. That year the Shark slept on the lead going into the final round of all four majors. Only once was he able to close the deal – at Turnberry, for its second notable Open appearance. For the most part conditions were atrocious. On Friday, only 15 players in the field broke par. But Norman torched the Ailsa course in a major-tournament tying 63. Watson called it “the greatest round ever played in a tournament in which I was a competitor.” Norman wrapped up his first major title on Sunday in near-horizontal rain with a superlative 69. With apologies to Nick Faldo’s third Open championship, Norman’s self-professed perfect play in his win at Royal St. George’s, and John Daly’s triumph for the people at St. Andrews in 1995, the most memorable Open of the decade took place in 1999, back at Carnoustie. 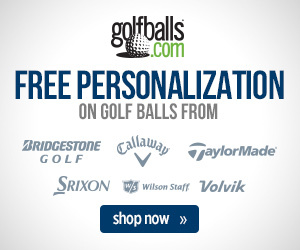 French journeyman Jean van de Velde stood on the 72nd hole with a three-stroke lead. The engraver had literally already engraved his name of the Claret Jug to move along the closing ceremonies. Fifteen interminable minutes, one barefoot visit into the Barry Burn and one courageous eight-foot triple bogey putt later van de Velde was in a playoff. Scotsman Paul Lawrie, who trailed by ten strokes when the round began, won the Open Championship. Van de Velde’s final hole collapse is still the one to which all golf meltdowns are compared. He has never contended again, but is remembered as much by his grace and good humor as his unfortunate play on #18 at Carnoustie. Tiger Woods, Ernie Els, David Duval, and Padraig Harrington – all players who were among the best of their generation – added their names to the Claret Jug in the 2000s. 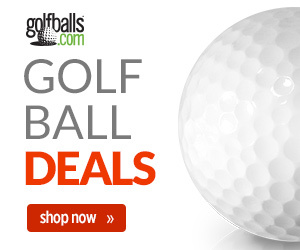 But it was golfers of another generation who created the lasting memories in this decade. First, it was Norman, back at Royal Birkdale in 2008, who became the oldest player (53) ever to lead the Open after 54 holes. The next year, 59-year old Tom Watson did Norman one-better at Turnberry, and tied for the lead after 72 holes. He could have won a record-tying sixth title outright but for a bogey at the 72nd. Watson’s magic eroded in the four-hole playoff, and Stewart Cink cruised to the Open championship. Phil Mickelson’s final round 68 at Muirfield in 2013 to drag himself from five strokes back for his fifth major championship was special, but even that would have to go a ways to surpass the meaning of the 2011 Open at Royal St. George’s where Mickelson was runner-up. The ultra-popular Darren Clarke out-dueled his rivals that week at the age of 42, when his best golf was considered well behind him, to win his first major title in 54 attempts. With the passing of his wife in 2006 at the age of 39, Clarke played his clubs indifferently and infrequently. The Northern Irishman has not added to his total of 22 professional wins since the improbable Open Championship, a glistening cap to a great career. Can Phil Mickelson Get His Groove Back?